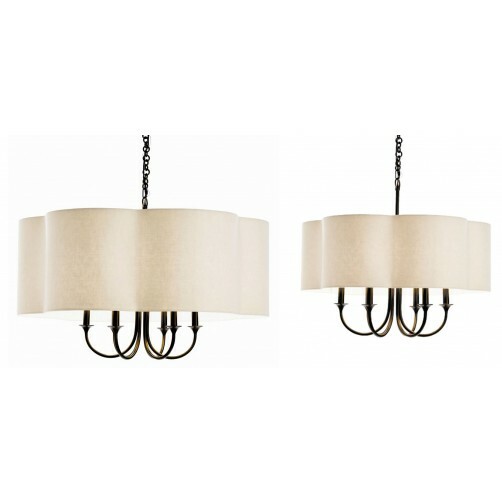 Distinctive 6-light steel chandelier in antique bronze finish has sweeping arched arms topped with an eggshell colored linen scalloped edge fabric shade with taupe sheer lining. Small: H: 20.5" Dia: 26". Large: H: 27" Dia: 42". Max Watts: 40. *light bulbs not included. *hardwired only.